FLORIDA – Southwestern Indian Polytechnic Institute (SIPI) took second place out of 21 national schools at the Third Annual NASA Swarmathon held at the Kennedy Space Center April 17-19. 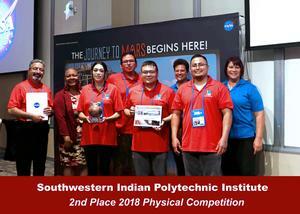 Dr. Nader Vadiee along with Emery Sutherland (Navajo), Kam KillsFirst (Fort Sill Apache Tribe of Oklahoma), Leon Toledo (Navajo) and Bernadette Quintana (Pueblo of Laguna) placed in the physical competition category. 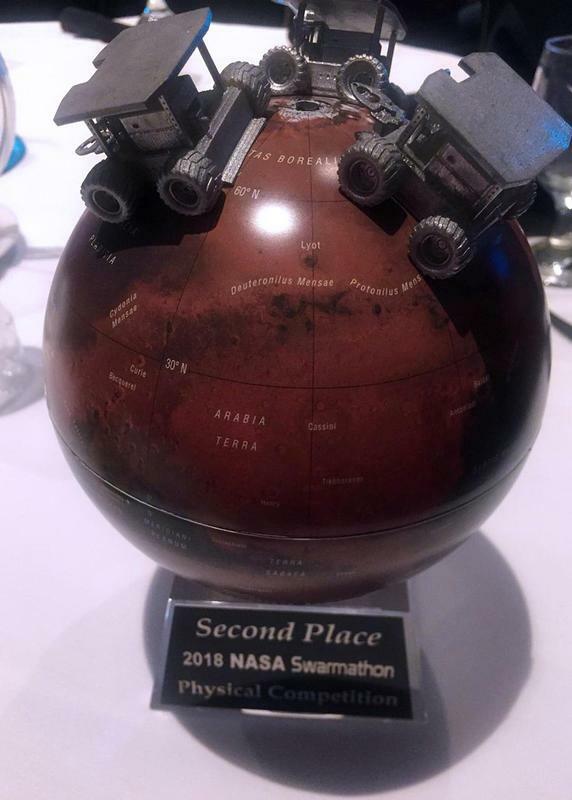 The NASA Swarmathon was created by Dr. Melanie Moses, University of New Mexico (UNM) associate professor of computer science, and was designed to engage students in developing cooperative robotic algorithms to revolutionize space exploration. “The Swarmathon will harness student creativity to solve complex problems. 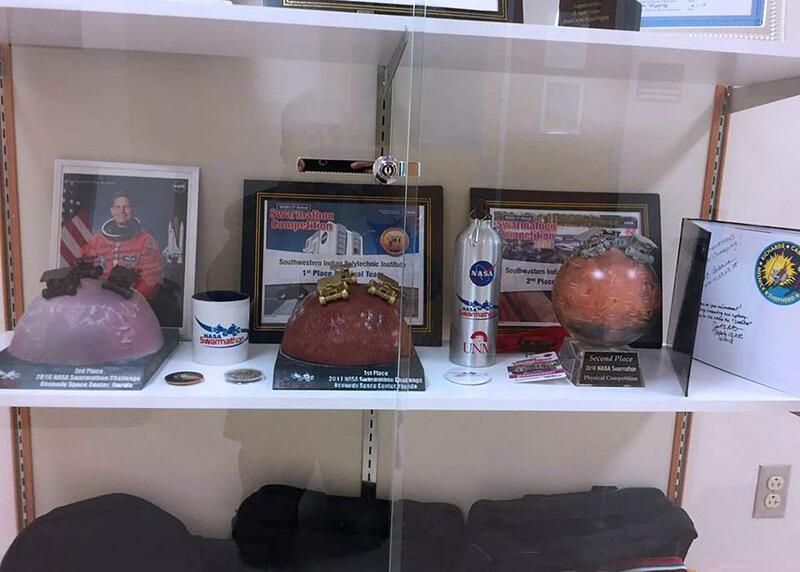 This is an incredible opportunity for students to develop technologies to explore our world and beyond,” said Moses as stated on NASA Swarmathon’s website. 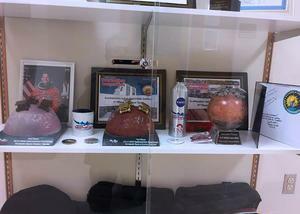 Students compete in virtual and physical competition tracks. The physical competition students get shipped kits to build their own “Swarmie” robots, which the students then write code to run autonomously onboard the robot’s operating system to search, pick up objects and return them to a central location. Swarmies are small robotic vehicles equipped with sensors, webcam, GPS system and Wi-Fi antenna that are programmed to operate autonomously or interact as a collective swarm – UNM students studying ant behavior foraging for food led to the designing of Swarmies. SIPI is the only team to place in the top three for three years in a row, which SIPI took first place at last year’s Swarmathon.